It wasn’t until REALTOR® Marki Lemons-Ryhal had earned a business degree, passed the real estate licensing exam and set up her first showing that she realized something alarming. She didn’t really know much about selling real estate. “The homeowners asked me for my agent ID number and my response was: ‘What is that and how do I get one?’” recalls Lemons-Ryhal, director of education for EXIT Strategy Realty and an industry keynote speaker, emcee and event host. Some of the problem, she admits, was that she was able to skip the pre-license course because she had a college degree in business. But there was more to it than that. “I learned the hard way that there’s so much more to real estate than just getting a license; that’s just entry-level,” says Lemons-Ryhal, who eliminated her knowledge deficit by taking continuing education courses, earning real estate designations and getting her broker’s license. “The question becomes, how are you going to build upon that foundation when it’s just the starting line — not the end-all/be-all,” she said. With a growing number of people beginning a career in real estate, hands-on, practical training that goes beyond just having a license is vital. Don’t make the mistake of overlooking these top seven things that industry veterans say should be incorporated into training programs for novice real estate agents. Every year, thousands of new real estate agents make their way into the industry. Between March 2017 and April 2018, the National Association of REALTORS® watched its membership increase by 80,000 — a 6 percent increase that happened despite inventory shortages and rising home prices in many areas of the country. So far in 2018, Illinois REALTORS® membership has grown by 4 percent. In surveying its 1.3 million members, NAR found that 29 percent have less than two years of experience. According to the Association of Real Estate License Law Officials (ARELLO), of the 2 million active real estate licensees in the U.S., the median tenure is four years. In an industry where licensing courses may not teach agents how to conduct business, and where basic training simply doesn’t cut it, both new and existing licensees need more guidance than ever. “There’s a real disconnect in the market right now between wanting to make a killing in real estate because the market is great, and actually being trained on the fine points of how to sell real estate,” says REALTOR® Carrie J. Little, managing broker and owner at CarMarc Realty Group, LLC, where she works with nearly 5,000 agents through her training classes. “There’s also a disconnect regarding who is supposed to be training whom and on what, and it should all start with the sponsoring brokerages and managing brokers; but that’s not happening,” she said. Little said she couldn’t believe her ears: Did this new agent really not understand that, when signing a listing agreement, a seller could elect whether or not to agree to the potential for dual agency? “I asked why he thought he needed to require that sellers agree to dual agency, and he said it was because that’s what his company told him to do,” Little said. To avoid this type of confusion, Little says brokers and trainers should take the time to teach new agents about the forms and when to use them. 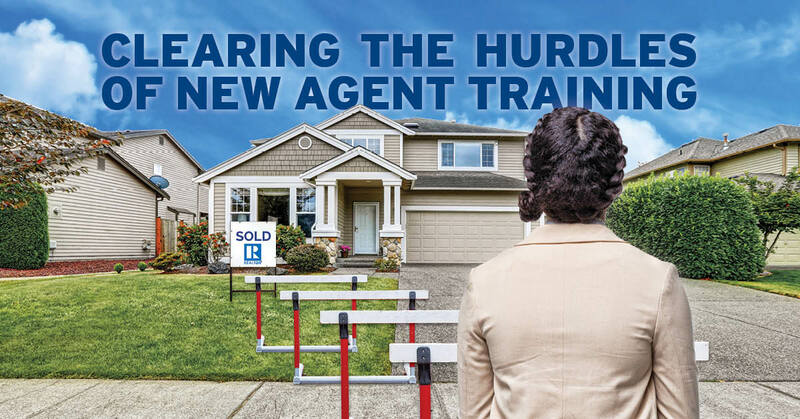 To agents who aren’t getting that level of training in-house, she says state and local REALTOR® associations offer such training — often as part of their association dues. “Every agent should take advantage of this free training, and so should boutique brokerages that don’t have the bandwidth to train on topics like how to use forms and documents,” Little said. 2. Don’t repeat mistakes of the past. When REALTOR® Yuval Degani sits down with a new agent who joins his company, he spends about 90 minutes with them during that first meeting. “One of my first statements to them is always, ‘I wish for you not to repeat my first year in real estate,’” says Degani, broker-owner at Dream Town Realty. He said when he started out he had never worked for a brokerage and didn’t even know how to qualify a client. “No one taught me anything and I made every single mistake possible,” Degani said. Twenty years later, Degani sees too many agents taking a “Groundhog Day”-like approach, referring the 1993 Bill Murray comedy where he relives the same day over and over again. Degani sees new agents repeating the same business habits they learned in their first year, whether they worked or not. He sees regular training and coaching as the solutions to the problem, with an emphasis on showing agents how they’re repeating their patterns. Then he works with agents to pry them out of those ruts. “With coaching, we put a mirror in front of someone and let them see themselves as they do their work, then we help them forge their own way,” Degani said. 3. Leverage transaction management technology. Agents have access to a lot of technology, but Little says investing in a paperless platform that manages the transaction from start to finish will pay off. “Pick a platform where you can upload all of your documents in a very consistent, centralized manner,” says Little. 4. Think and act like an entrepreneur. New agents may hang their licenses with a broker, but that broker isn’t necessarily his or her “employer” in the truest sense of the word. A highly entrepreneurial endeavor, real estate demands a level of persistence, diligence and detail that many new agents haven’t experienced in the past. This may be especially true if they came from the corporate world. 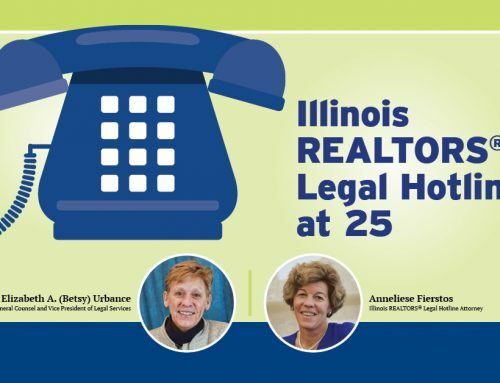 “New agents need business plans, they need to be able to follow the numbers, and they need research and data to do things right,” says Lemons-Ryhal, who tells licensees to explore the business planning, market research and data resources provided by both NAR and Illinois REALTORS®. To help even the most independent business owners/agents stay accountable to their business commitments, REALTOR® Nick Libert, CEO and owner of Exit Strategy Realty/Nick Libert Properties Inc., in Chicago, suggests using daily, group accountability calls. He calls his “Daily Dials” and they take place every Monday through Friday at 8 a.m. Agents can call in and tell each other what they did great yesterday and what they need to do to keep the momentum going. 5. Use hands-on training to fill in the gaps. New agents aren’t the only ones who are overwhelmed by the changes and new requirements of their careers. Agents who have been in the business for years also need training, coaching and mentoring on how to use new tools and technology. “I have agents who started in the business before electronic signatures, contracts and lock boxes were even around,” says REALTOR® Sheryl Grider Whitehurst, director of development at RE/MAX Traders Unlimited in Peoria. To help agents work through these challenges, and to make sure new agents get the basic training they need, the firm uses a mix of one-on-one, technology and business development training. With a focus on hands-on training, these sessions help agents practice before they go into the field. For example, Whitehurst teaches sessions on how to process listings using RE/MAX’s transaction management system and on how to use the firm’s scheduling platform to set appointments. The classes are taught on Facebook Live, which allows agents to access and watch the content later. 6. Don’t just rely on email and social media to fill the client pipeline. Most agents know they need to call people to build their client base, but many of them avoid this task for any number of reasons, the main one being that it can be downright uncomfortable. Degani helps agents over this hurdle by encouraging them to develop a systematic approach to asking for business that goes beyond the “easy” methods, such as email, direct mail and social media. If, you call someone after sending out a postcard, it creates an entirely different effect, he says. “It’s about overcoming the fear of calling and actually talking to people in a world where digital communications may have taken over, but aren’t nearly as effective as phone or face-to-face contact,” Degani says. Libert says it pays to show agents the value of having a 12-month marketing calendar that’s focused not only on daily activities, but also on the many different ways that they can “touch” people throughout the year. Those touches can be special events, monthly mailers, e-newsletters or any other number of outreaches. 7. 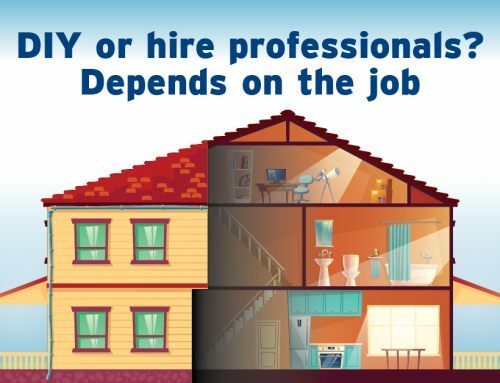 Think before setting up shop in your own backyard. Too many new agents start their business without realizing they’ll get a higher return on investment by working in a neighboring community says Lemons-Ryhal. To new, novice and even experienced agents who need help getting their businesses going (or, taking them to the next level), Whitehurst recommends reaching out to your managing broker for help first. National, state and regional REALTOR® associations are another great resource for both one-on-one and ongoing training, as are the many different designations that are offered by industry associations. Finally, there is a plethora of independent real estate trainers that provide group and one-on-one training for both new and experienced agents. These and other resources can help new agents avoid repeating past mistakes and push them out of the “Groundhog Day” effect and into the ranks of successful licensees, says Degani. “Agents can easily fall into a pattern of waking up in the morning, putting out fires and dealing with the daily crunch without ever stepping back to take a bird’s-eye view of their businesses,” he says. About the writer: Bridget McCrea is a business, real estate and technology writer in Miami, Fla. She can be reached at bridgetmc@earthlink.net. Bridget McCrea is a business, real estate and technology writer in Tampa, Fla.